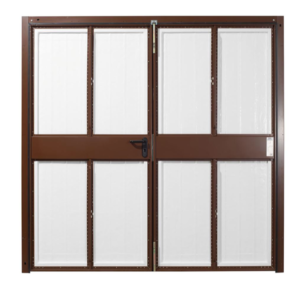 This range of traditional GRP side hinged garage doors are hand made to order and are manufactured and finished to a very high specification. 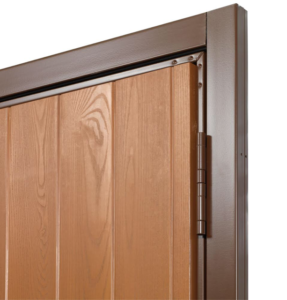 The GRP panels are built onto individual steel frames preventing any distortion and have an additional flow coat applied to the back of every door for improved aesthetic appearance. 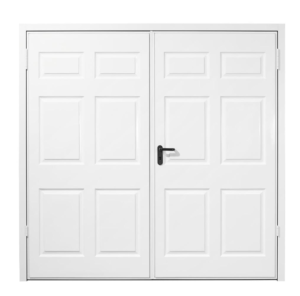 As standard, all side hinged garage doors manufactured by The Corporate Door Company include: heavy duty steel hinges, a pair of solid garage door stays, centre style for maximum security, weather seals, Euro dead locking latch, black lever handles inside and out and are supplied pre-fitted with frames for ease of installation. In addition to this weather seals are fitted between the frame and leaves for draught reduction. 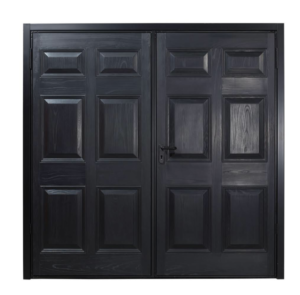 There are a range of glazing options when ordering the ‘Betchworth’, ‘Cobham’ and ‘Richmond’ design doors and the option to change the colour of the standard black handle. 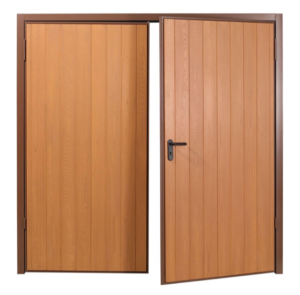 Available in a wide range of woodgrain, smooth gloss and RAL colours. 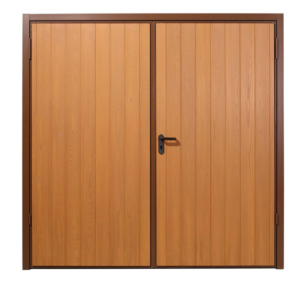 Also suitable for automated remote opening.